Obesity in cats is a very common issue. 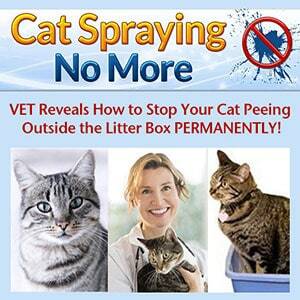 There are many cat owners today who are looking for effective weight loss solutions for their cats. An overweight cat faces many health risks. It’s also not fun playing with it. The great thing is that making your cat lose weight is easy. Before we give you the simple tips you can use to ensure your cat loses weight, it’s important to understand why this happened in the first place. Cats gain weight because of their diet. If the cat is eating more food than it can burn, then it will grow fat. Obesity in cats can also be associated with old age. As the cat gets older, it loses its ability to exercise and as such, build-up of excess weight is observed. Obesity is basically a nutritional disease that is characterized by excess body fat in the cat (PetMD). More often than not, obesity occurs in middle and old aged cats. But this issue can be solved easily. There are a few simple initiatives you can explore to make your cat lose weight. Get professional advice – Obesity in cats can be caused by many things other than the diet. Before you change what your cat eats, get a professional vet opinion first. Determine the target weight – It’s very difficult to work without a goal. Before you do anything, determine the ideal weight you’d want your cat to be. Determine ideal calorie intake – The cat must eat less calories than usual in order for it to lose the excess weight. There are websites online that can help you calculate the required calorie intake for cat weight loss. Change the diet – A diet change is necessary to help reduce the intake of calories. Make sure the cat exercises more often too. How Do You Transition Your Cat To Its New Diet? It’s also advisable to add a small amount of flavoring to make the new diet attractive. Things like ketchup can help ease the cat to the new diet faster. Make sure you’ve also included dietary supplements in the new diet. A lot of cats will easily adapt to a new diet as long as they are eased into it (WikiHow). An overweight cat will always be at risk of various medical issues. You should do something about this issue. The tips above will be ideal for cat weight loss. However, it may take longer than you think. Be patient though and it will all work out.